Iruka means dolphin in Japanese, Iruka Shuttle is the best cost-performance Tokyo airport(Narita/Haneda) door to door charter bus transfer service in Japan. Narita/Haneda Airport-Main Tokyo (23 wards) and Kansai KIX airport-Main Osaka door to door charter bus. Get picked up right upon your arrival/ departure for Narita Airport by a professional driver and the meet and greet services in Tokyo. 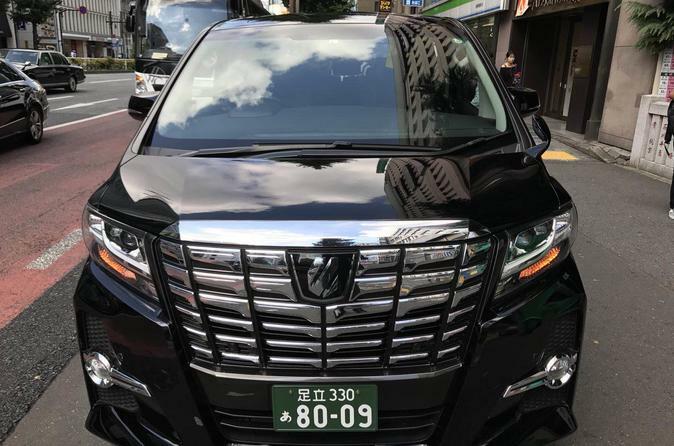 This private transfer can give you a peace of mind for your journey in Japan with the flexibility to choose 2 different comfortable vehicles, an Alphard (4 seaters and 4 luggages) and Toyota Hiace (8 seats and 8 luggages). if you travel in a larger group, you can also order multiple cars. Please book at least 36 hours ago. There are two basic bus type. One is business level 6 seats Toyota Alphard, which is optimal for 4 people and 4 luggages. Max for 5 people and 5 luggages is ok but crowded. This price is for 6 seats Alphard. You can order a Hiace with another product.